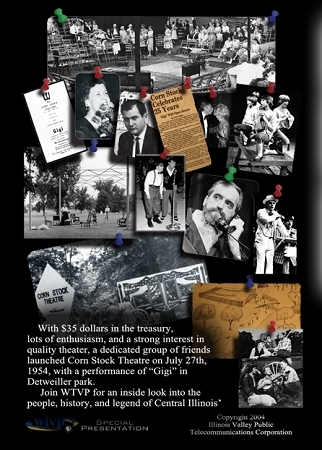 With $35 dollars in the treasury, lots of enthusiasm, and a strong interest in quality theater, a dedicated group of friends launched Corn Stock Theatre on July 27th, 1954, with a performance of “Gigi” in Detweiller Park. 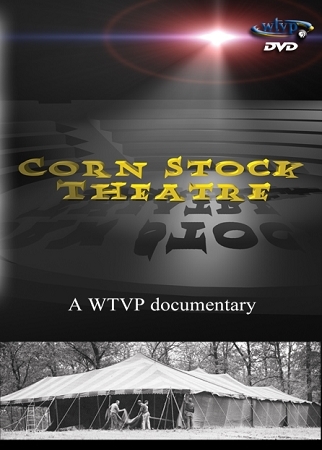 In celebration of Corn Stock's 50th Anniversary, this WTVP production looks back at the history of the first outdoor theatre-in-the-round in Central Illinois. 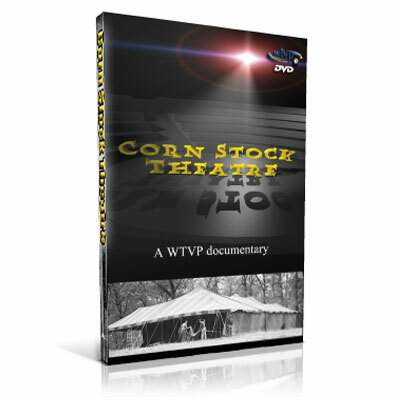 This WTVP program takes viewers back to the creation of the new theatre and to Corn Stock's first season. The program looks at Corn Stock's move to the tent in upper Bradley Park, the establishment of the lab theatre and the Corn Stock for Kids Program - and the many musicals and dramas that have entertained and enlightened audiences throughout the years.